Looking for Painters in Chicago? Aardvark Painting is your Commercial Painting Contractors in Chicago complete Warehouse Painting from floors to ceilings. Whether you painting the Interior of your Office building or Repainting the exterior of your Commercial Office building in Chicago IL. 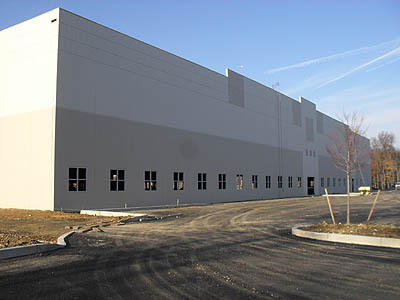 There are different types of Warehouse exteriors to paint in the Chicago area, Tilt up Concrete Panels and Corrugated metal buildings are the most popular and require more than your regular “House paint” Aardvark Painting is your Chicago warehouse painting contractor and taking your commercial business in Chicago into a new direction may require you to alter the appearance of your facilities. Repainting the Interior and Exterior of a Warehouse is a fast way to reinvent a business and face the challenges of the future. 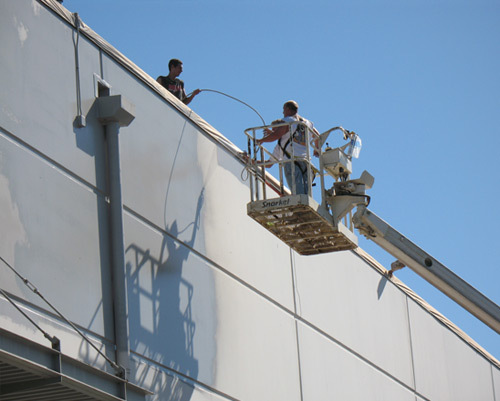 If your visitors and guests are asking about the last time you repainted your commercial building, your facility is overdue for a new paint job. People do judge a book by it’s cover, customers may notice the condition of your buildings paint but are not likely to say anything out loud. If they do say something about the appearance of your building, listen carefully. What they have to say could change your business. Your potential customers may look elsewhere after seeing your dilapidated exterior /interior. Your aesthetic appearance may not necessarily represent your company’s abilities, but that’s how your customers will likely interpret them. Customers do judge a book by it’s cover! Aardvark Painting Inc. Has the solutions to any Interior or Exterior Paint Problems and have a long term warranted system to make your Warehouse paint last. Our Chicago Painters have the solutions and use only the finest materials Low Odor and environmentally safe Low and No VOC paints that is business friendly. Being equipped with state of the art technology, Aardvark Painting Inc.is well known as being a top Chicago Commercial painting contractors can deliver the right output within a stipulated time. Equipped with a skilled Chicago Commercial Painters, We promise high quality work which is indeed reflected on the walls we paint. Do you have a rusted or oily ceilings in your warehouse? We specialize in painting rusty metal deck ceilings in Chicago Illinois. Aardvark Painting will implement a remediation system and make that exposed metal deck ceiling look brand new! Exposed bar joist ceilings in warehouses and factories are the most common type of exposed steel structure ceilings but have also become popular very popular in restaurants, retail stores, supermarkets, coffee shops and showrooms. A fresh coat of dryfall or dryfog paint will brighten up and change the the feeling & mood of your space. Aardvark Painting is a specialist in painting warehouse metal bar joist ceilings and exposed steel structures for a broad range of commercial and industrial Factories, Manufacturing Plants & Warehouses and other commercial and industrial facilities. We are your Interior Warehouse ceiling & bar joist ceiling painting contractors in Chicago. Your #1 Chicago Warehouse Painting Contractor. If your looking to find a Commercial Painting Contractor in Chicago Aardvark Painting Inc is your Commercial Painting Contractor in Chicago. Warehouse Painters in Illinois.